Oak neon panel lamp. Flush lens. 100v - 125v. 25,000 hours. Anodized aluminum body. Water tight, vapor tight, gas tight. 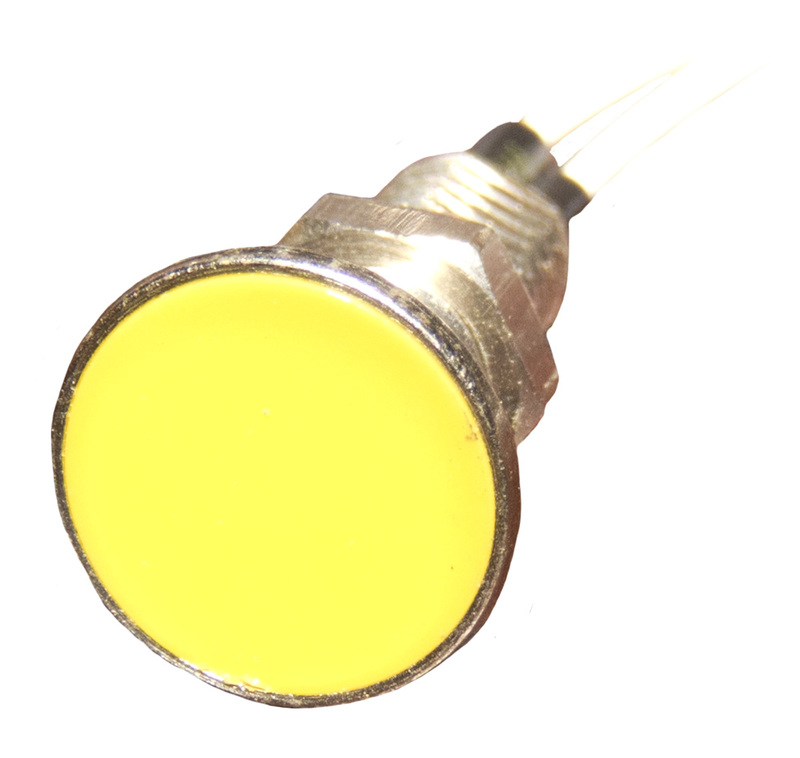 Includes neon midget lamp, T2 size, C9A (NE-2J). Clear - Off, Neon Orange - On. Uses external limiting resitor. Requires 7/16" hole, up to 0.312" panel thickness. 1.5" overall length. Drake neon panel indicator lamp. 115 vac. Clear - Off, Neon Orange - On. Includes internal dropping resistor. Fits 0.5" hole. 1-3/8" behind panel depth. 2-1/4" overall length. 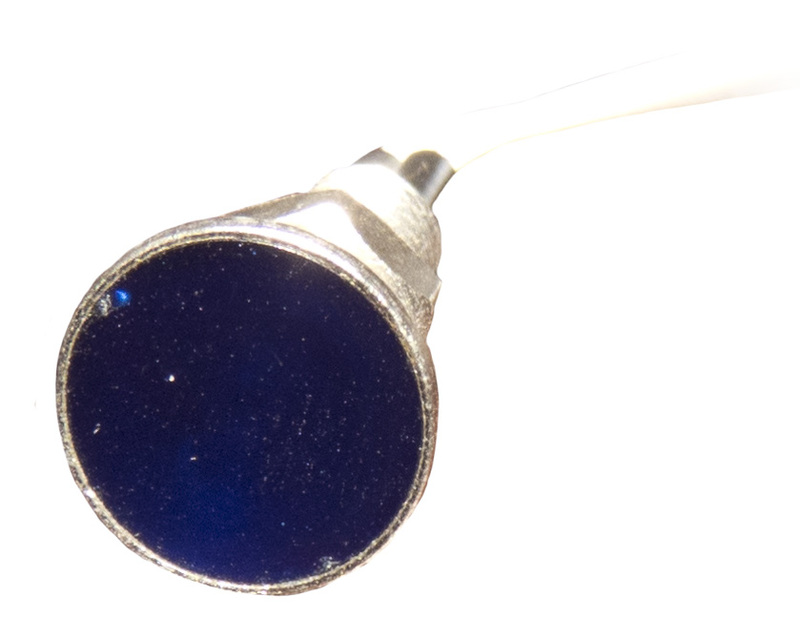 Drake blue countersunk panel lamp assy. 6-7v. 5" leads. 0.360" max diameter hole. Mounts flush to panel. 7/8" x 11/32". #10-32 stud. Drake green countersunk panel lamp assy. 6-7v. 5" leads. 0.360" max diameter hole. Mounts flush to panel. Drake red countersunk panel lamp assy. 6-7v. 5" leads. 0.360" max diameter hole. Mounts flush to panel. Drake white countersunk panel lamp assy. 6-7v. 5" leads. 0.360" max diameter hole. Mounts flush to panel. Drake yellow countersunk panel lamp assy. 6-7v. 5" leads. 7/8" x 11/32". #10-32 stud. Dialco panel lamp. 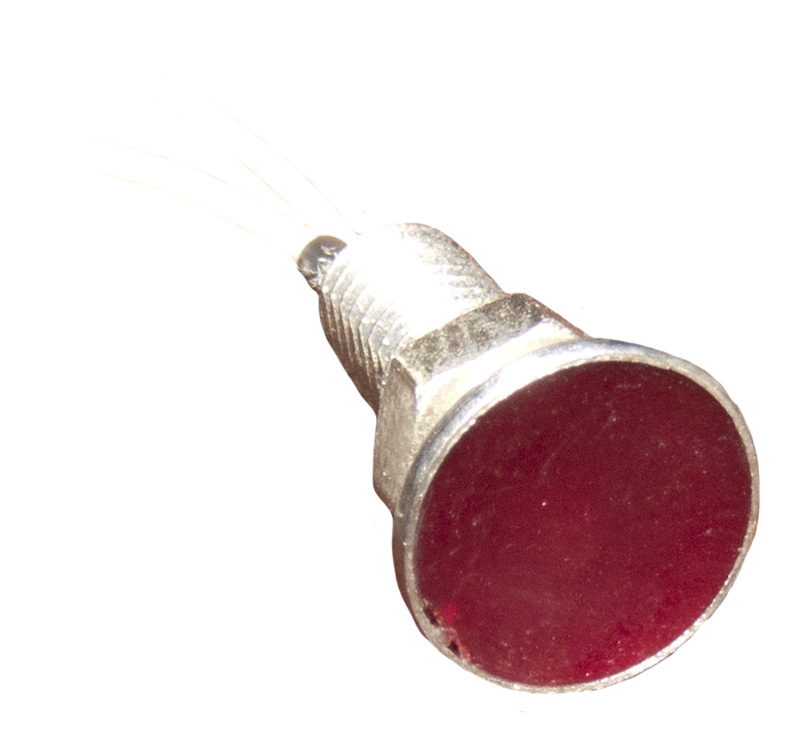 Red 1/4" lens peers from 7/8" diameter cap. Body ground, 1 terminal. 10" leads. 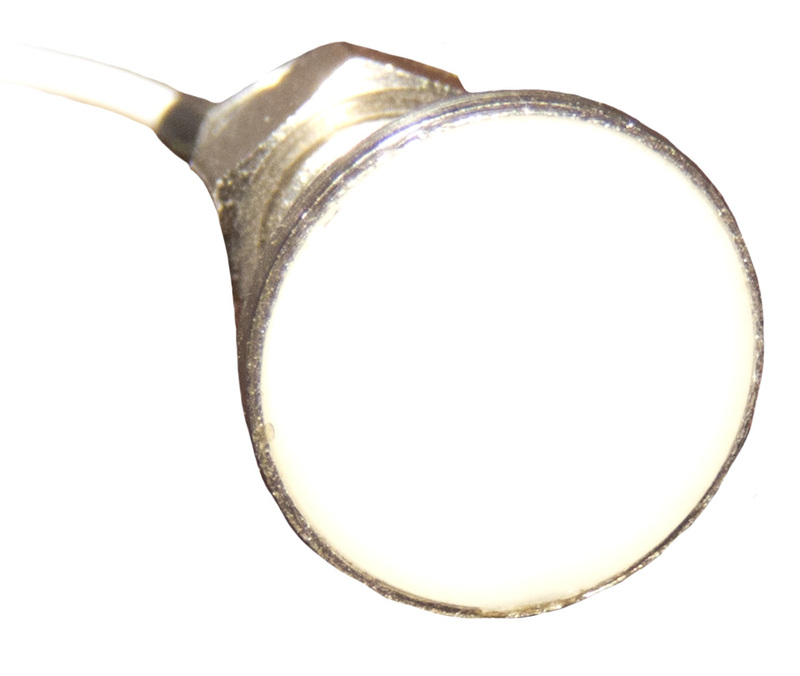 Includes T3-1/4 lamp (#51, 7.5v). Mounts in 3/4" diameter hole. New, shelf worn. Dialight neon panel lamp. Red. Requires 3/8" hole - up to 5/16" thick panel. 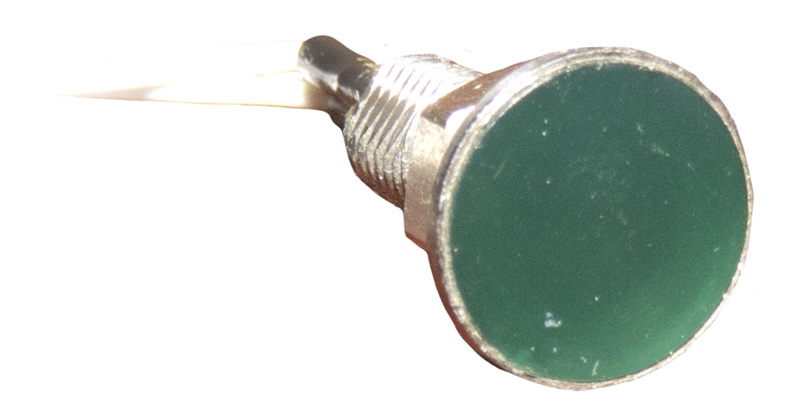 Requires external dropping resistor between 20k ohm and 100k ohm, 1/4 watt. 115 vac. Cole Hersee panel lamp holder. Chrome bezel with green lens. Fits in 3/4" hole. 8" leads - 1 is ground return. Lamp size is G3-1/2. Includes #356 lamp, 28v - aircraft. Oak avionic lamp assembly. Amber lens cap with wire mesh. Includes C7A neon lamp. 110v. Fits 7/16"D hole.